I read an interesting article the other day on All Things D that a small percentage (say 8-10%) of Amazon's sales were from mobile devices. Granted this was a Citi analyst's forecast and not Amazon's self-reporting figures, it made me think more about the measurement approach and attribution for mobile conversions. As a marketer, no doubt I have been advising clients to increase their investment in mobile the past few years. That of course leads me to justifying the mobile ROI and how to track mobile leads and sales. In most cases, brands use last-click attribution (a very common approach in online marketing). That's how you see stories like the above that mobile is a growing but small percent of sales. But the impact of mobile is likely under-reported with last-click attribution. At least based on my own online behavior (and some friends I spoke to), my mindset and goal on a mobile device is often different than on a PC. I'm often stealing a few minutes in the day on my mobile handheld to research something. In the case of Amazon, I may research some products, identify a few things for my "maybe" list, and then I put them in my cart. Then, when I'm back at my PC, I can review this list, read reviews, and ultimately buy online. This could be due to the fact that I didn't have enough time to finish my research during my "break." But even when I'm decided to buy something, I often don't and wait until I get home because I don't like entering billing and shipping info on a handheld or there are sometimes site features and content that is better consumed on a PC, such as product images, compare tools, or reading lots of user reviews. In this scenario, it's important to give mobile credit for getting me through a good part of the purchase funnel, most likely the consideration and preference stages. Last-click attribution would say I converted on desktop. As a result of this, it's important for marketers to start paying attention to multiple conversion metrics across the purchase funnel. Ideally, a retailer like Amazon would assign some weight or credit to mobile in my conversion above, as well as desktop. Amazon is actually well-positioned to do this type of analysis because of a very critical piece of the analytics puzzle -- tracking a user across devices. Most brands don't know who exactly is coming to their site and for multi-device users, it's nearly impossible to connect the dots without a login. So, then we go back to one of marketing's most critical questions: what is the value exchange for users to register or login? And stay logged in. I rarely login or save my password on sites in my browser. 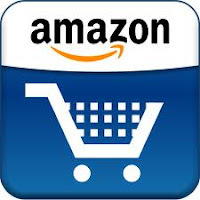 But Amazon is one that is the exception because of the personalized user experience I get from doing so and how easy it is to add to cart for desktop follow-up later. And of course for some users, it allows them to take advantage of their 1-Click purchasing technology. Thus, the value exchange is very clear for logging into Amazon. Another example are sites with a walled garden like WSJ.com that also can track users across devices because one must login to read full articles. As a result, for marketers, you need to think of clever ways to get users to sign up or sign in as soon as they enter your site or else you will only see pieces of the cross-platform measurement puzzle. And as we learned as kids, no one ever likes to leave a puzzle unfinished.